Paula was David’s dance instructor for almost two years. 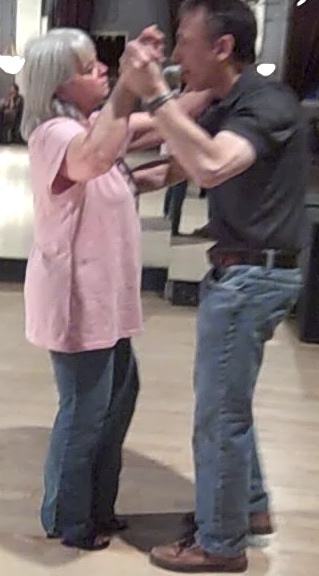 She not only guided him through his dance steps, but she assessed his every movement to help him regain his balance. Paula is much more than a dance instructor. She is a wonderfully sensitive and compassionate young woman. David and I took lessons with Paula once a week for nearly two years. We learned a number of ballroom dances, including the Cha-Cha, the Tango, and the Swing – all very quick dances, which we did not do so quickly. We learned the Waltz and the Fox Trot, too. We stumbled around the dance floor amid the elegant contestants who were preparing for their next performance. They twirled and glided and dipped and swooped with feet barely touching the floor, while we firmly planted one foot and then the other in slow succession hoping that we would not topple over. We never did. 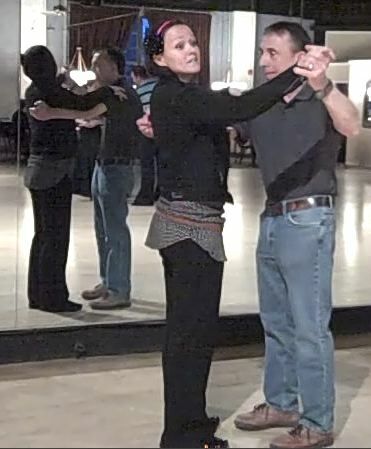 Paula taught David form – focusing on his posture. “Renew! Renew! Renew!” was her mantra – the reminder to David to stand taller. When Paula moved to another studio, too far from us, we did not continue our lessons because we knew we could never replace her. Paula is also a performance dancer and has competed and won many dance contests. In the video below you will see Paula in action. In a pink fairy-princess gown, she glides over the floor with her partner, George Valasquez, who performs an amazing routine with only one leg. Paula is truly an inspiration. Watch this video to see what I mean. Truly AMAZING!!!! !